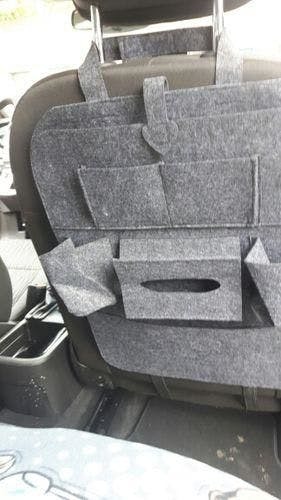 DECLUTTER YOUR CAR IN SECONDS! Are you tired of trying to keep your car clean? 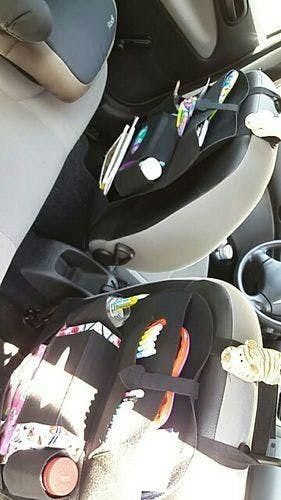 Are your kids constantly leaving clutter lying around your car? Can you never find anything? If this sounds like you, then you need the all-in-one multi-purpose car back seat organizer! With 7 pockets available, fit all of your items exactly where you need them to be. The organizer comes with both seat back buckle and bottom straps for you to choose how you want to secure it. As an all-in-one seat back organizer, kick mat and seat protector! One at the top for iPad or magazine, 2 for phone and keys, 2 for drinks and bottles, one for tissues, one large pocket at the bottom for newspapers, books or plastic bags. With adjustable headrest, seat back buckle and bottom straps with hooks. And durable construction allows you to wash it by hand! It is a high quality organizer. It is a high quality organizer. 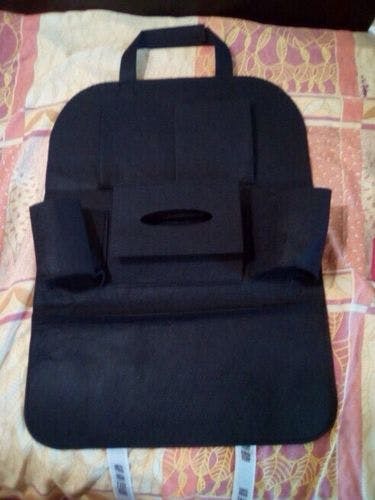 The material is very strong, which makes it a heavy duty carrier for your stuff in the car. I love the design of it. The extra belts near the bottom help prevent sag and wobble when I put two water bottles in it. Excellent storage for minimal outlay. Product is a small bit awkward to install but once in place it is very firmly affixed. Product is a small bit awkward to install but once in place it is very firmly affixed. It is a very sturdy, well manufactured item. It looks good and ticks all the boxes. I am extremely satisfied with my purchase. 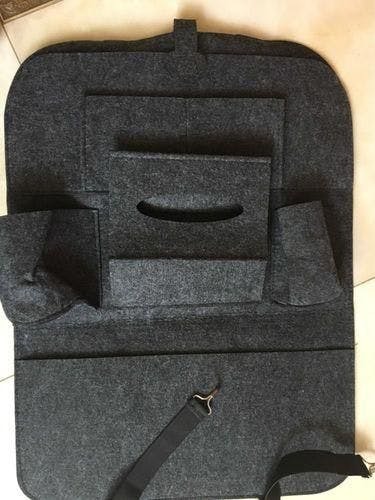 Very nice car seat organizer fit exactly to my car seat came very fast high quality. 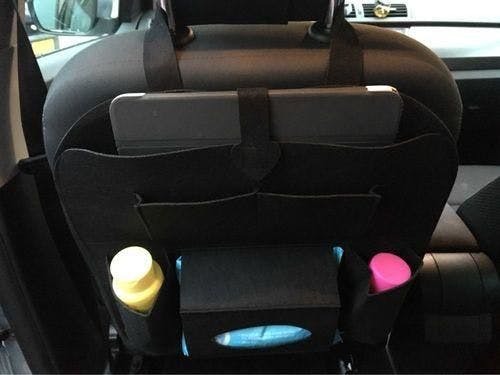 Very nice car seat organizer fit exactly to my car seat came very fast high quality. Will defenetly buy another one for other seat. The product design is perfect, the variety of space design is reasonable, my car will not be messy。The best that it has a stretch cord to fasten it at the bottom keep it close to seat back, causing no significant leg room distraction to passengers sitting in the back seat.